New sub-classes for all, new areas, one pissed off "god"
While some of the info has been leaked here and there, the next Destiny expansion has officially been revealed this evening at Sony's E3 Press Conference. Titled "The Taken King," the expansion will take players to what appears to be Jupiter, give them new gear, and new sub-classes for all the heroes. After killing his son in "The Dark Below" (why did you do that?! 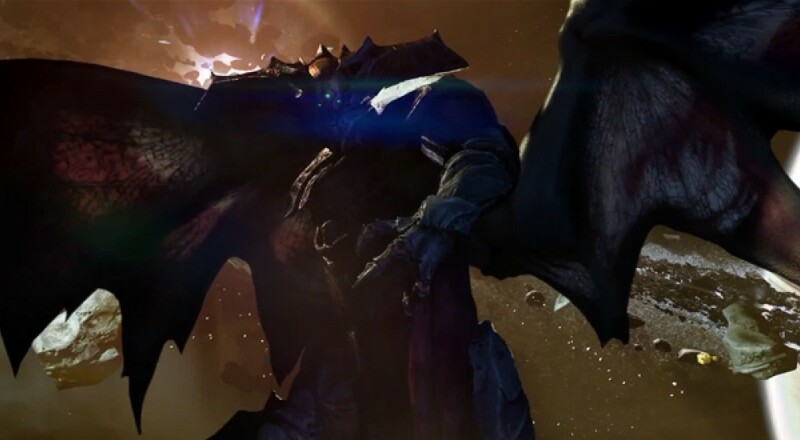 ), Oryx is looking for revenge and is coming after the Guardians. Considering the Hive kind of worship the dude as a god, that probably won't bode well. Then again, it's a video game so once you level your gear appropriately, you'll beat him, no sweat. Not going to lie, that trailer has me pretty hyped. There's always been such promise for the title and hopefully this expansion helps Bungie/Activision start to realize some of that. New enemy models and new areas will help for sure. The expansion officially gets released on September 15. No word on what it will cost, though rumors are that it's a "premium" expansion and will be $40. Considering the conference showed a boxed copy of the game it definitely doesn't seem like that would be too far off.